[Updated: Jan 2019] Growing weed indoors is highly satisfying. But closely controlling the amount of light, temperature, humidity, etc. can be a challenge! Plus, when cannabis is mature, the odor can get very strong. Happily, you don’t need to struggle with managing conditions in an ordinary room. The ideal solution is to get yourself an indoor grow tent. Our aim at 420Beginner.com is to do the time-consuming buyer’s research for you. So to help you choose the Best Grow Tent for Growing Cannabis, we’ve looked at the most popular choices on the market today, consulted other reviews and growers’ forums and chosen our Top 10 indoor grow tents for 2019—small, medium and large (plus a couple that’ll fit into the smallest of grow spaces). Read on to find the tent that’s right for you. 3 Why use a grow tent? 7 What’s the smallest grow tent available? 8 What’s the shortest small grow tent available? 16 How many plants can I legally grow? Looking for a quick answer to what’s the best grow tent? No problem. Gorilla Grow Tent. The Best grow tents on the market — hands down. Spend any time in a cannabis growers’ forum, and you’ll soon see that when it comes to equipment there’s not much that people can agree on! So, that Gorilla is the grow tent brand that we see recommended way more often than any others already says a lot. Why the unusual level of consensus? Gorilla grow tents are super-sturdy, the fabric’s the thickest canvas around, they last for years, and the seams and zippers are strong and as lightproof as it gets. Plus, they’re actually designed for cannabis growers, so you’ll find little extra features that will just make life much easier, like an infrared blocking roof. And there’s a LITE range, which is worth a look if you can’t afford the premium Gorilla models. Sure, Secret Jardin, MarsHydro and Apollo also get some love from growers. MarsHydro’s tents, for instance, are a great budget option. But we agree with the majority here, Gorilla Grow Tents are the very best on the market. 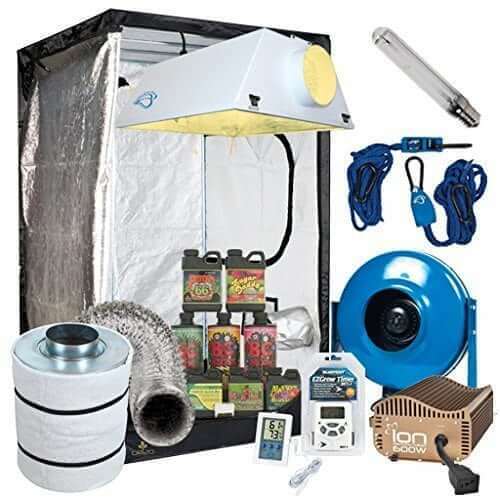 Below, you’ll find small grow tents, medium grow tents and a selection of large models—in each case, some with accessories included and some without—as well as some complete indoor grow kits for weed. As a bonus, we’ve also covered a couple of the tiniest grow tents available. Whatever your budget, grow space size or level of experience, we think you’ll find a marijuana tent here that works for you. Use the table below to skip to the individual tent review that interests you most. Gorilla Grow Tent LTGGT22 Tent, 2′ x 2.5′ x 5’7″ – Our favorite small grow tent (Editor’s Choice) 2′ x 2.5′ x 5'7"
Gorilla Grow Tent LITE (2′ x 2.5′) LED Combo Package #2 – Best small grow tent kit for beginners 2′ x 2.5′ x 5'7"
Gorilla Grow Tent (2′ x 4′) LED Combo Package #1 – Best small grow tent complete kit 2′ x 4′ x 6'11"
iPower 48″ x 48″ x 80″ Hydroponic Grow Tent w/ Removable Floor Tray for Indoor Seedling Plant Growing – Super-affordable 4×4 indoor grow tent 4' x 4' x 6'8"
Gorilla Grow Tent LITE (4′ x 4′) LED Combo Package #1 – Outstanding LED light, outstanding tent 4′ x 4′ x 6'7"
Worm’s Way 4 x 4 Grow Tent Kit – Best all-in-one HID grow tent kit (even includes the nutes!) 4′ x 4′ x 6'6"
Gorilla Grow Tent GGT59 Tent, 5′ x 9′ x 6’11” – Best large marijuana grow tent 5' x 9' x 6'11"
If you’re not sure why you might use a grow tent, we’ve got one more section explaining that—or just scroll down a few paragraphs to get to the reviews. Grow tents make it simple to raise high-quality cannabis because they create the perfect environment. When the lights are on, the reflective walls of a grow tent spread the “sunshine” all around the plants. Then when the lights are off, the darkness is complete, giving the weed time to rest. A grow tent helps keep the plants warm even if the room where it’s located is a basement or garage. You can also buy grow tents with a built-in ventilation system so that the weed doesn’t get too hot from the lights, and so the neighbors don’t sniff what you’re about to harvest. It might be a big initial investment, but a good grow tent will pay for itself over time. It’s a worthwhile choice if you plant to raise cannabis for years to come. The only downside to selecting one today is that you may outgrow it in the future. Our rule is to buy a little bigger tent than you need now because you can always anticipate a bigger crop down the road. Here are the best grow tents you can buy right now. We’ll start with small ones perfect for a closet or a corner space. These little tents fit perfectly into a closet or the corner of a room. They don’t come with lights or ventilation, they are just tents, period. That way you can customize them just the way you want. They are good for one or two plants at a time, although some smaller strains may fit up to 4. If you’re looking for more of an indoor marijuana growing starter kit, though, no problem. Just scroll down to the next section. 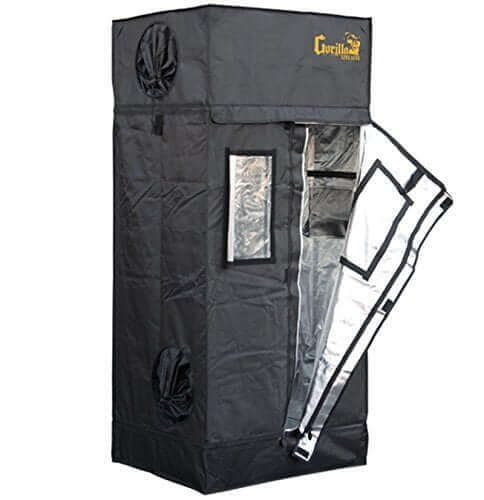 Gorilla Grow Tent has a reputation for sturdy, well-made tents that hold up well for many grow seasons. Their LTGGT22 measures just two and a half feet wide by two feet thick by five foot seven inches tall. You can increase the height of the tent up to six foot seven inches if you like, but you’ll have to order their extension poles separately. Check out this quality design. The interlocking frame poles that support the tent are made of metal with a rust-resistant coating and the 1680D thick canvas exterior is lined with reflective Mylar inside. There is a zippered window set into the zippered door so you can peek in on your babies. The door allows full access to the inside. 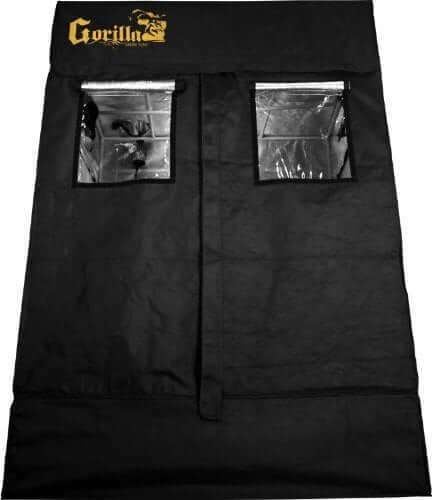 Gorilla Grow Tent has big strong zippers so they will stand up to a lot of use. There are two ducting holes on the side of the tent. If you don’t need to use them, you can cinch them closed. And as a thoughtful touch, there’s a small mesh bag hanging on the wall of the tent so you can leave your hygrometer or other tool ready for use. Without the extension poles (which are sold separately), this Gorilla Grow Tent is best for shorter strains of Indica, depending on the light you use. A powerful LED panel needs about a foot to a foot and a half clearance above your plants when they are in the flowering stage. Let’s move up in size to a three foot by three foot by six-foot tall tent from Apollo Horticulture. Again, this is another short grow tent that would be better for growing shorter strains of Indica than the taller Sativa. Like the Gorilla Grow Tent, this one has interlocking metal poles that support the tent and can handle the weight of your light, too. The interior is lined with reflective Mylar to send your lamp’s light all around your plants. This thick fabric is double-stitched to cut down on light leaks, but there are no flaps over the heavy-duty zippers to completely block light. There is a large front door for easy access, and two windows, one on each side. The tent includes mesh panels at the bottom for ventilation, as well as round openings to pipe air in and out and let power cords enter. We like the removable Mylar floor tray because it makes it simple to clean up inside. The tent includes instructions on how to set it up without tools. It comes with a 90-day warranty. If you prefer to have a complete cannabis growing setup shipped to you, it saves a lot of time trying to match up components. You know that all the components are going to work well together. There’ll be no problems with buying equipment and discovering that it doesn’t actually fit your tent. Here are two of the best small grow tents that come with lights, ventilation, and other helpful accessories. What happens when you combine a great grow tent with a top-of-the-line LED light? This weed tent kit. It includes the same GGTLT22 tent we reviewed earlier and adds on a host of goodies to make your next grow as easy as possible. The Kind LED K3 450-watt is a full-spectrum grow light perfect for a small tent, from one of the top grow light manufacturers around. It consumes only 270 watts of energy and uses only 700mAh of current. That way you can grow without paying a huge power bill. Plus, the included timer helps you keep the plants on a healthy schedule. The kit also has an in-line duct fan (with adjustable speed and ducting included) that filters odors. Although, unfortunately, there is no carbon filter included in the package. The hygro-thermometer shows you the temperature and the humidity inside the tent and in the soil. And if things get a little too hot (unlikely with an LED light), there’s a small clip-on fan. 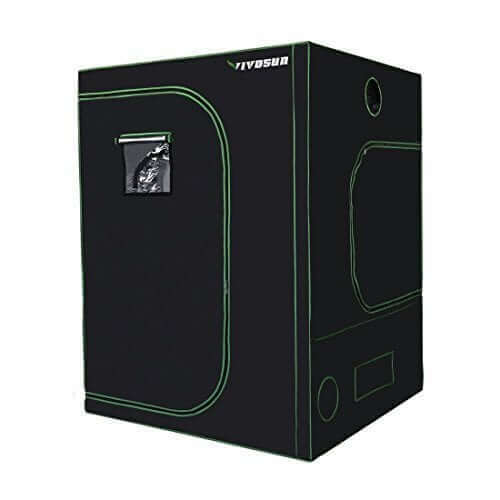 At just 2′ x 2.5‘, and with top quality components, it’s one of the best indoor marijuana growing kits for beginners. Another Gorilla Grow Tent complete kit. 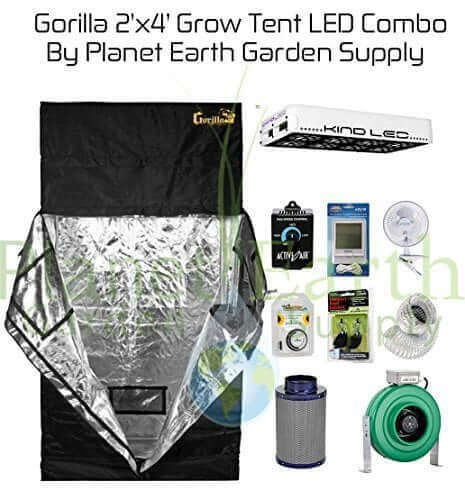 If you need a little larger area for growing, here is the same combo kit again but with Gorilla Grow’s two-foot by four-foot tent. Plus, it has a major bonus—it comes with a carbon filter for the in-line duct air system, something that the smaller kit does not include. So if you’re venting air out into the street or yard there’ll be no give-away flower odors. 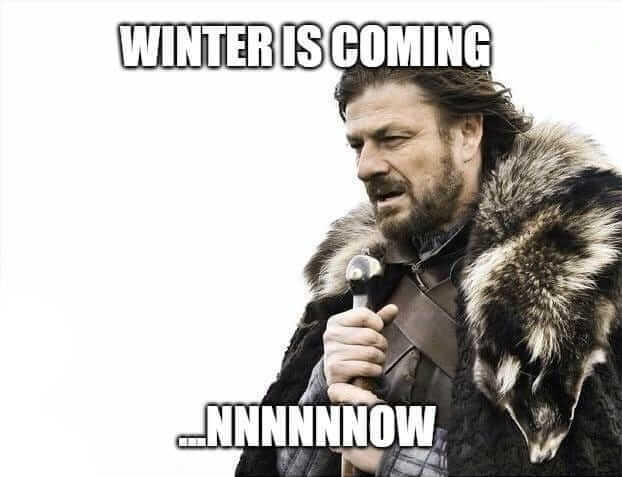 And no odors in your home either. All this lacks to be the complete starter kit for growing cannabis is some fertilizers (and, perhaps, a hydroponics system). What’s the smallest grow tent available? 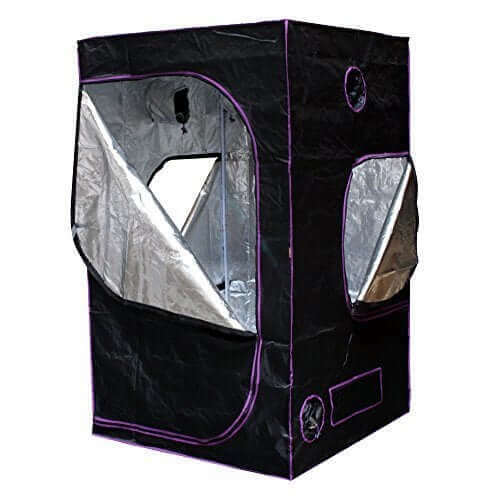 The smallest grow tents we’ve found all take up 16″ x 16″ of floorspace, with a height of 48″. And almost all of them are much the same, to be honest. There’s no particularly well-known manufacturer among them. Some available models did distinguish themselves by offering thicker material (600D). And of those, the Quictent SGS stood out a mile for its 2-year warranty and the number of happy customer reviews, as well as a higher quality mylar lining than the rest. What’s the shortest small grow tent available? The shortest small grow tent we’ve been able to find is this tiny 2′ x 2′ x 2′ Secret Jardin Cristal Room CR60. In fact, when you look at the exact measurements, it’s actually even slightly smaller than that: 60cm x 60cm x 55cm. Obviously, with dimensions like that, this is a tent for compact fluorescent bulbs only—up to 65W. It’s all mylar inside (93% reflectance rate), with light-resistant zippers, and there’s a removable waterproof base. The material is rated at 190D for thickness. Secret Jardin is a respected grow tent manufacturer, too, so there should be no problems with quality. If space is really at a premium, your best solution might not be a tent at all. Grow boxes—especially stealth ones—are often designed to make the most out of confined spaces. Moreover, if you’re a beginner grower, they can be an especially excellent option. Because as well as being compact, many of them are also automated turnkey solutions—complete weed growing starter kits, essentially. We’ve even seen models that include an instructional DVD course for growers. Do you know of anything smaller? Let us know in the comments. We’re always looking for good suggestions for equipment to review. Maybe you’re ready to upgrade to a bigger plant tent, or perhaps you want to begin with plenty of room to grow your own personal selection. In that case, here are some medium-sized indoor grow tents that come just as they are, no accessories included. These tents are good for four to six marijuana plants at a time, depending on the strain. At four feet by four feet by over 6-1/2-feet tall, this tent may not fit in your closet. The interlocking metal poles frame the tent and support the weight of your light. The interior is lined with reflective Mylar to bathe your plants in rays from every angle possible. The thick fabric is double-stitched to cut down on light leaks, but there are no flaps over the heavy-duty zippers to completely block light. We like the removable Mylar floor tray because it makes it simple to clean up inside. The tent comes with instructions on how to set it up without tools—it’s very easy to assemble. Apollo Horticulture offers a 90-day warranty. 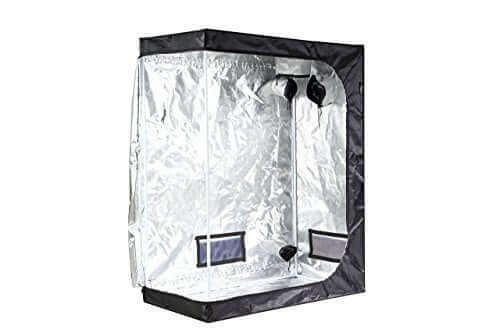 The iPower 4′ x 4′ marijuana tent is a top-selling grow tent online with positive ratings and an affordable price point. We took a closer look at it and saw that it’s quite similar to most of the other grow tents we’ve reviewed here. But it does shine in a couple of areas—as well as the price point. One, the material they use is 3-ply vinyl, not canvas. It’s 5mm thick, very heavy-duty. Second, they seem to take extra care in how the tent is put together. The duct ports extend inside and cinch for a nice, tight fit. And the frame is heavy-duty steel poles. Plus, all the ventilation panels have zippered flaps with industrial zippers. The removable floor tray’s handy too. Makes keeping everything clean and tidy a lot easier. All in all, a good cheap grow tent. Why not relax and let the experts assemble a complete package for you? The folks at Gorilla Grow have done just that. The price looks high until you see the cost of just the LED panel alone. Then you’ll realize this grow tent kit is a steal. 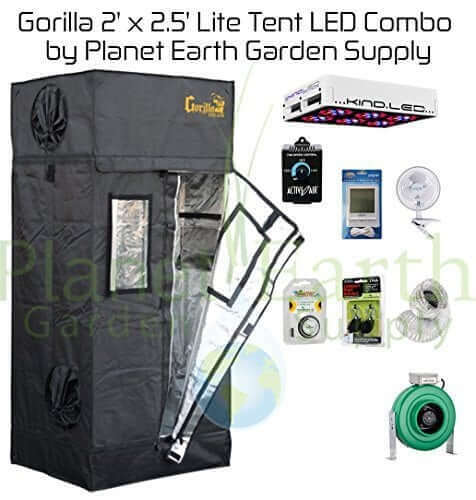 It comes with a four-by-four-foot Gorilla Grow tent that’s easy to assemble with its metal tubular frame. It has an inline duct fan with active carbon filter and ducting, a fan speed adjuster, a hygro-thermometer, a timer, and a clip-on fan. The rope ratchet is very helpful when you want to lower your light over seedlings, then raise it higher as the plants grow. The KIND LED light is their 750-watt full-spectrum panel. It’s perfect for any stage of growth, from sprouting to veg to flowering. It can cover up to 6 square feet of space, maximum, so it’s perfect for this size of tent. KIND LED is a manufacturer we’ve come to rate very highly, with High Times awarding the larger K5 XL-1000 “Best LED Innovation” in its 2017 STASH Awards. While we’ve come to favor LED lights for growing because they use less electricity, generate less heat, and do a great job producing healthy plants, we know some of you may be fans of traditional HID lights. In that case, you may love this second kit as much as many customers already do. Worm’s Way offers you a practically complete grow tent setup. All you need to add are seeds, soil, water, and electricity. 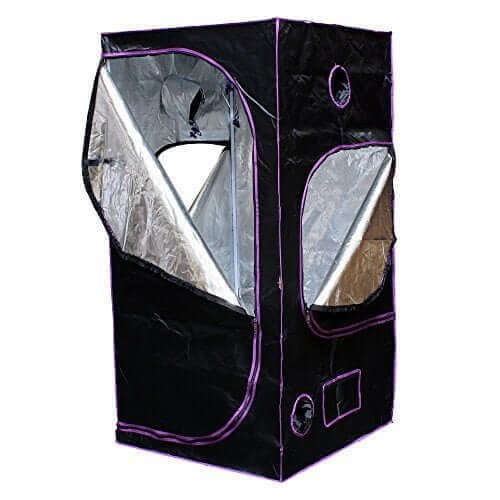 It comes with a 4-foot by 4-foot by 6-1/2-foot grow tent made from sturdy fabric with a reflective interior. The 600-watt high pressure sodium HID light package with digital ballast is a perfect match for this size of tent. It comes with a timer to help you simulate day and night, and up the daylight hours when the plants start flowering. Worm’s Way also includes a thermometer and hygrometer, a fan to circulate air, nutrients (the only kit in this review that does), and ducting with an inline charcoal filter to remove odors. You don’t get weed tent kits much more complete than that! We like this package because it’s an all-in-one solution that will help a new grower get started without needing to spend a lot of time researching all the best equipment and buying it from different vendors. Since the kit must be assembled, the individual parts can be replaced if needed in the future. And the price of the whole package together is less than what you would pay for many kinds of LED light panels sold by themselves without a kit. As you’ll no doubt have noticed, we prefer LED lights here, but otherwise this is truly the complete weed growing starter kit. Ideal for beginners who have the space to spare, as well as for more experienced growers looking to increase production. By large grow tent, we mean a weed tent that can hold 6 or more full-grown plants. Here’s where you start becoming a producer for multiple people and your tent takes up half the garage or more. We like VIVOSUN’s five by five tent. It’s tall enough to hang lights over full grown plants and it’s large enough to hold up to 12 at a time, depending on what you’re growing. Plus, unlike many other tent manufacturers, they offer a longer warranty up to 2 years. What else is there to say? After all, it’s a grow tent, right? Dark fabric on the outside, reflective inside. But VIVOSUN goes the extra mile with excellent zippers. Sturdy, top quality zippers are very important when you have to use them a lot. 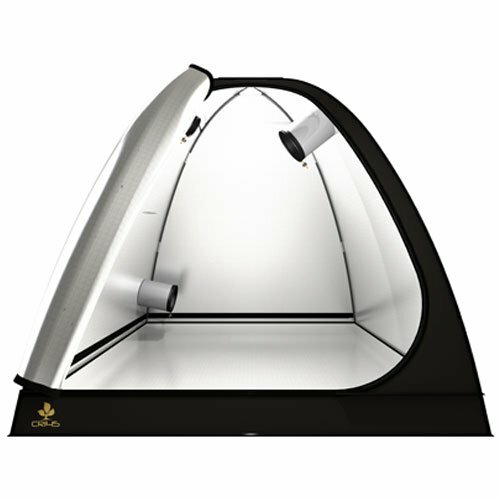 The VIVOSUN tent also has a removable floor tray and support beams strong enough to hold your light panels. If you’re looking for a large tent, but money’s tight, this could be the option for you. Customer reviews are good, and the 4×4 version of this tent is already a big seller with our readers. We’re back to Gorilla Grow for a good reason. They make great tents that last. This one is longer than a king-size bed. Like all their tents, it’s made from thick 1680D fabric lined with reflective Mylar. The metal interlocking frame and connectors are plenty strong to hold up the tent and support your lights. This kit even includes a free 12-inch height extension kit and an infrared-blocking roof insert (we hope you won’t need that second part). Like Gorilla Grow says, there’s no cheap plastic parts on this tent. It has double-cinching ducting ports and bug-resistant pre-filters. The large zippered door makes it easy to access your plants, but if you only want to peek on them, just open one of the zippered windows. One final detail that we like about this tent is the flood pool floor. If you have a spill, it can actually hold water. So it’s another great option if you need a hydroponic tent. We’re picky about the components we use while growing. At the time of writing there weren’t any large grow tents sold with a superior assortment of accessories. Perhaps sellers think that by the time you’re growing big you already know what you need. Don’t worry if growing’s all new to you. It’s not so hard to get started. We’ll help you begin. Learn more about growing with our free Beginner’s Tutorial. In just 12 weeks, you can have your first harvest. And you’ll find other quality equipment for indoor marijuana growing in our product reviews. Check out reviews of the best LED light panels for growing. We have a master list of the top ones here. Soil is an important part of growing tasty weed. See which nutrients help you grow healthy plants. Small growers may have up to 2 plants growing at a time. They need a tent that’s at least 2 feet by 2 feet. It may look too big when they are seedlings but adult plants will fill up that space. You can fit 4 mature plants into a 4 by 4-foot tent. If you only use a tent for seedlings, you can pack 16 of them in a 4×4 tent. If you have more than 4 mature plants planned for the future, you’ll need at least a 5 by 5-foot tent. Is a tent too conspicuous for your circumstances? Consider a grow box. For small spaces and discreet home growing they can be an ideal solution. How many plants can I legally grow? How many cannabis plants can you legally grow at home? It all depends on where you live and if it’s for medical use or not. Check out our clickable infographic here or the text version here. Other states allow cultivation for medical purposes, like Arizona and Minnesota. Each state has different rules for what’s okay and what’s too much. Some allow plants and some don’t. Check here to learn more about current US laws on the books. We’ve also got a handy table of the laws in Canadian provinces. We’re pretty sure that pot will be completely legal in the years to come. Until then, practice your horticulture skills. Your weed may be in hot demand soon if it isn’t already. And speaking of staying safe, check out our guide to stealth growing and stealth grow boxes. Even if it’s legal where you are, there can be good reasons for keeping your grow op discreet. Thanks for your good information. Can you say me what is the best indoor grow tent? Some people ask me about it. Actually they want to grow cannabis and marijuana on the tent. And they want to grow it inside of their home. Check out the grow tents on our shopify site Dazzlekat.com. We have a 10% off sale–use the coupon code 10off at checkout. 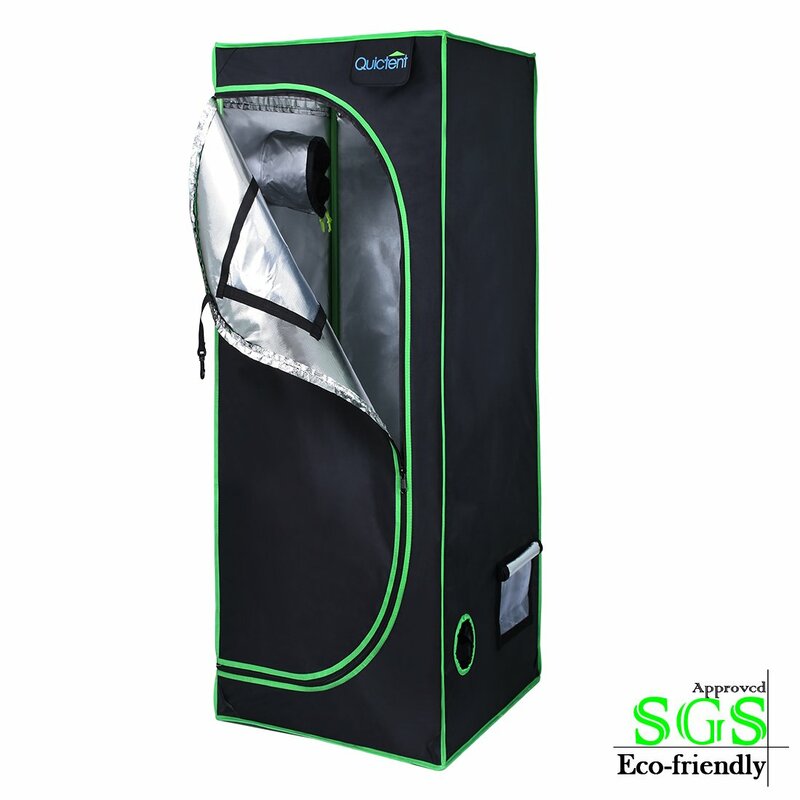 Also take a look at our article on grow tents. Thanks for such a wonderful review of best led grow light. I will recommend Mars Hydro. Quality product and a great company to work with if you have questions or issues.This is one of the best products you can get for this price. Works really well.Currently also have extra promotion activity. Thanks for that. We agree. In fact, we sell Mars Hydro products with free shipping and a 10% discount on our site at Dazzlekat.com. I’d recommend leaving at least 20 inches of space b/w your plant and the lights. my 2 cents. GL! i have a space i can ventilate and extract into a chimney. it measures 63″ (1,600mm) wide x 39″ (1,000mm) deep x 43″ (1,100) high. i imagine that will easily house 4 – 5 decent sized plants. i plan to do soil & not hydro culture. this can be attended to twice or three times a week easily. what sort of LED light arrangement should i opt for in total watt? i could have several square panels on the ceiling and maybe two more either side or rectangular panels at the back and rotate the plants daily, once they are a particular size. my preliminary budget is approximately £500 = $675. OK you have i5 square feet. Each plant will take at least 1 square foot and if they are big then plan on 2-4 square feet per plant per plant. The larger area gives you plenty of room for expansion and for moving around your plants. Each plant would like to have about 65 watts per square foot, so you would need between 135- 270 watts per plant. A good LED grow light will generally have enough coverage to penetrate the canopy although when the plants are full-grown you might want to supplement with a red LED when the plant is beginning to flower. REmember that you need at least 30 inches height above the tops of your plants so your grow tent may not be high enough unless you train your plant during the vegetative stage by bending it to produce a shorter bushier plant. and in the later stages of growth, you can get away with lights as close as 18 inches above the plants, but be careful. thanks bro. i will start soon. 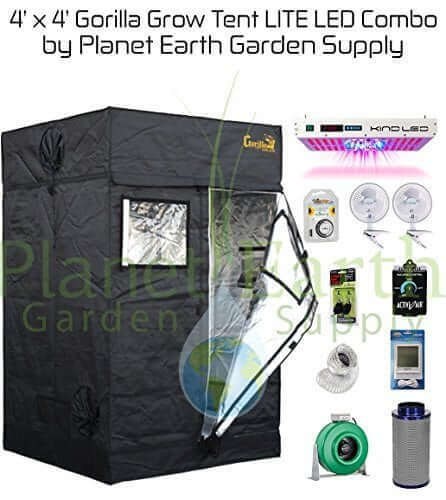 Hi, im new at this so i would like to use a 5×5 grow tent with led lighting for 5 plants. How many led fo i need at what wattage? The average LED grow light draws about 32 watts to cover 1 sq ft for flowering cannabis. Compare this to a typical HID fixture which rings in at 40 watts per square foot (assuming a 5′ x 5′ area, or 25 sq ft coverage area). Using an HID in a 4′ x 4′ will bring the power coverage up to 62.5 watts per sq ft.